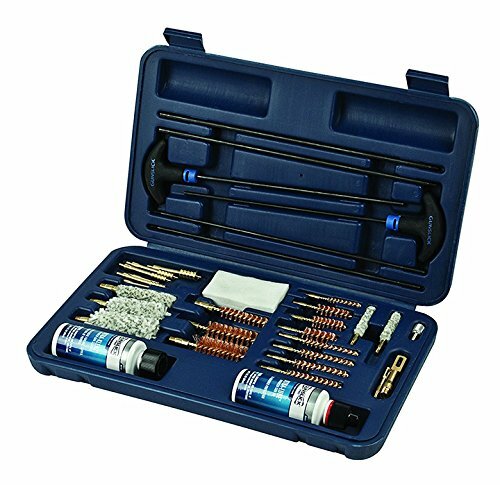 This rigid and durable hard case stows and organizes the 32-piece assortment of gun care products to clean shotguns, rifles or handguns, quickly and effectively. The blow-molded, hard-polymer design has specific compartments for the parts within the case, including areas to hold bottles of gun-cleaning chemicals. A 2-ounce bottle of Gun slick Pro Ultra-Lube and a 2-ounce bottle of Ultra-Klenz are included in this kit.